Held in Bukavu and co-organized by DRC's National Minister of Agriculture, the Provincial Government of South Kivu and a consortium of international organizations, including ELAN RDC, the 4th annual Saveur du Kivu (SduK) convened producers, industry insiders, and public and private-sector actors to celebrate progress and outline a collective vision for a more productive, inclusive and competitive Congolese coffee sector. If you missed it, check out our in-depth look at the rise of Saveur du Kivu. This year’s coffee tasting (“cupping”) competition was led by Cup of Excellence’s Paul Songer, as he was joined by key leadership from World Coffee Research, African Coffee Roasters, La Bohème Café, Peet’s Coffee, Counter Culture, Higher Grounds and others. In addition, key leadership from Let Sequoia, Twin and Starbuck’s were on hand to preview coffees for themselves. Concurrent to the cupping competition, the days were packed with engaging supply chain workshops, some of which featured the Congo Coffee Atlas, supply chain traceability systems currently being rolled out with ELAN RDC partners IFCCA and ASSECCAF. 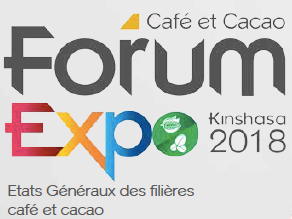 Building off the sector’s momentum, and new in 2018, coffee producers, cooperatives, and businesses working throughout the specialty crops sector participated in the first-ever Congolese Coffee and Culture Exposition (Forum Expo du Café et Cacao) in Kinshasa.